Walter Salas-Humara is always writing songs, either by himself or with collaborators. One of his writing partners is award-winning novelist Jonathan Lethem, whose books include Motherless Brooklyn and The Fortress of Solitude. Salas-Humara also finds collaborators at the Steel Bridge Songfest, held annually in Sturgeon Bay, Wis., where he is a regular participant. So when the label Rhyme & Reason Records approached him about putting out an album, he had the goods. The resulting album is the released-in-August Walterio. It is Salas-Humera’s 24th album. He began his recording career with his mid-1980s band the Silos, which is still an ongoing concern. Following the release of their second album, Cuba, the Silos were named Best New Artist by Rolling Stone. 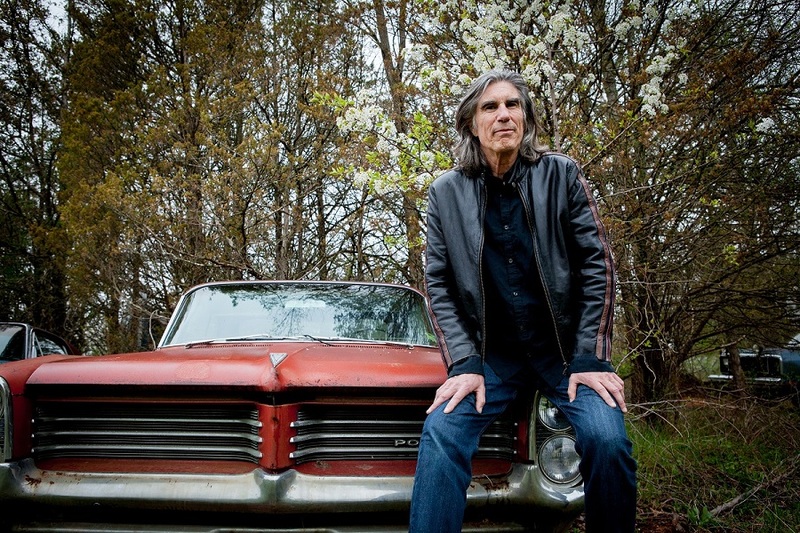 It’s a career that affords Salas-Humara, at age 59, an opportunity to look back at his personal and professional legacy as he does on the bluesy ballad, “Come In a Singer,” co-written with K Phillips. “Of course, its personal to me as an artist, but I think it’s a universal sentiment. Everybody that has children and just in general, wants to have some sort of purpose in life, and I think most people do struggle mightily with it. What have I been doing with my life? Am I good person? What does that even mean? Am I a cynical person? Am I a loving person? Have I done right by my children? Have I done right by my family and friends,” said Salas-Humara, the father of a 25-year-old son. 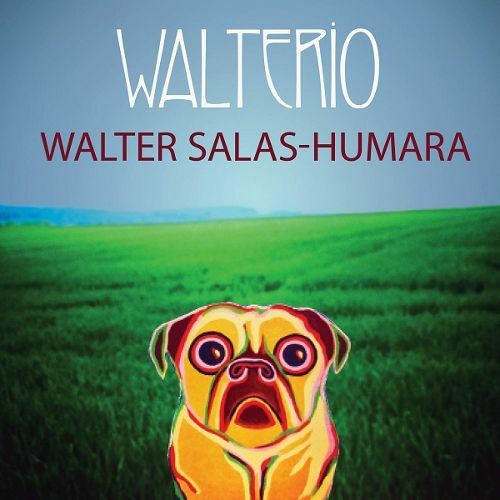 The catchy-indeed Walterio’s ten songs include rockers, ballads, pop songs, and two in Spanish. Salas-Humara is fluent in the language. His parents were born in Cuba and he never spoke English with them. The album also has one cover, “Hard (Only Human)” by Pat McDonald, who had a hit with Timbuk 3’s “The Future’s So Bright I Gotta Wear Shades,” and who is the host of Steel Bridge Songfest. Salas-Humara said writing for a whole week at the Songfest and seeking out different collaborators is inspiring. Of course, his writing now is a far cry from when he first started out. “As I’ve gotten older, I became more and more interested in lyrics and storytelling. I don’t take myself as seriously as I used to when I was younger,” he said. Back then, “It was always music first, and I was looking for a sound. I had a lot of rules. I was very strident about what was good and what wasn’t good, typical young person stuff. “I was always interested in lyrics but in the old days, I was as much interested in just the sound of the lyrics, things sounding cool. An example would be Bob Dylan. Half the time you don’t know what he’s talking about, but it sounds really cool. And Kurt Cobain’s another example of that, where you don’t really know what they’re talking about, but it sounds profound somehow. The rocker, “Out of the Band,” co-written with Lethem, tells a funny story of a band with one member who is so incompetent, the others kick him out. Except audiences demand that the band keep playing the song the discharged member wrote. On a more positive note, there’s the album’s first song, one of the Spanish numbers, “El Camino De Oro,” which translates, into “The Golden Path.” Salas-Humara said the song is about communities coming together, listening to each other living harmoniously, and not being judgmental about one another. The album’s love songs include the poppy, “I Want to Be With You,” co-written with Jonathan Spotiswoode, and the ballad, “Should I Wait for Tomorrow,” which he wrote with Kipp Wilde. Divorced but happily living the home life with his partner Amy Daggett, Salas-Humara said the key to writing a love song is emotion. Walterio completed, Salas-Humara is touring behind the album. He’s a singer coming to cities and leaving plenty of songs behind. 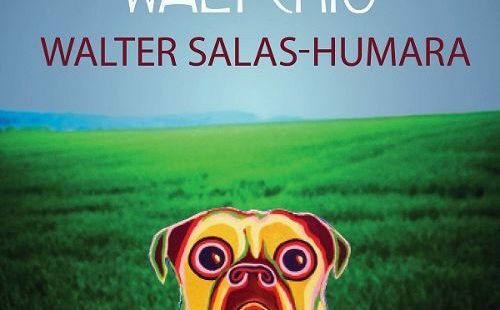 You can learn more about Walter Salas-Humara and buy Walterio by visiting Walter’s website. If you visit his site, and love dogs, check out these cool paintings Walter does of dogs. Maybe even yours.